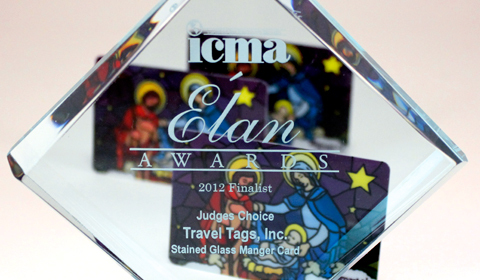 MIAMI, FL – Travel Tags, Inc and Wal-Mart were honored at the 2012 ICMA Elan Awards for winning the award for “Best Gift Card of 2011” with the submission of their Stained Glass Manger gift card, at the ICMA EXPO in Miami, Florida on April 17, 2012. The gift card was designed and printed for Wal-Mart for the 2011 Holiday season. It was a very successful attempt to replicate a stained glass window featuring the Nativity. The translucent ink effect used for the glass and raised black silkscreen layer between the window elements really helped to give the card a sense of depth and separation. “Our team worked hard up front to come up with a manufacturing process that would make the Stained Glass Nativity card looks as much like stained glass as possible. It was fulfilling to not only see that the finished product looked better than expected, but that others in the industry felt the same by awarding it the Elan Award For Best Gift Card of 2011,” said Ryan Schreier, sales rep of Travel Tags. 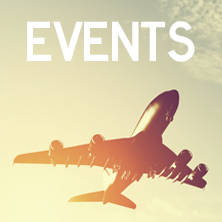 The ICMA or International Card Manufacturers Association is a non-profit association of plastic card manufacturers and card services providers. They serve and promote the plastic card industry and its products. INVER GROVE HEIGHTS, MN – Travel Tags, Inc., and Nordstrom were honored at the 2012 Print Excellence and Knowledge (PEAK) Awards and selected as the Grand Award winner in PEAK’s “Plastic Cards-Gift Cards” category for their Blades of Grass Gift Card. The Awards were hosted by The Print Services and Distribution Association (PSDA). 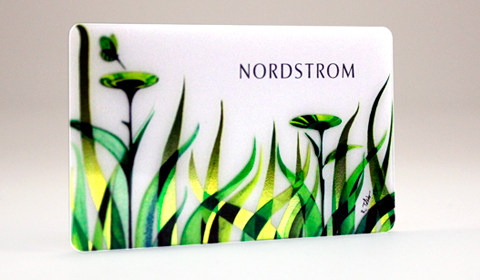 The card was printed for Nordstrom, and was designed by fashion designer Ruben Toledo. Travel Tags’ production experts came up with a construction that made the artwork come to life. The card was constructed in a unique manner using a right read, wrong read technique with foil attached to the back. It allows the card to have a 3D feel and a good sense of depth without having to use a 3D lenticular lens. It also gives the cardholder the illusion of blades of grass swaying in the wind. “When you’re in this business, you see a lot of great looking cards... but every now and then, there’s one that really stands out as ‘special.’ This was one of those cards. The moment it came off press, we were all smiles and knew that the Blades of Grass Gift Card was going to be a memorable design. It was a lot of fun working through the design concepts with our customer and creating a construction that would enhance their design. We were all so pleased with how this one came out,” said Jodi Belden, Sales Representative at Travel Tags, Inc. The PEAK Awards is a prestigious competition that honors the work of print professionals who have met their customers’ printing needs by providing outstanding value-added products and services through creativity in design, production, fulfillment and other services while solving problems or improving business functions. Travel Tags wishes you a Happy Holidays and a prosperous 2014!